This is a course designed for juniors and seniors that focuses on reading and analyzing literature and building study skills with a special emphasis on taking and passing the Basic Skills Reading Test required for graduation. Students will learn effective study strategies in note taking, test taking, memory improvement, listening, stress and time management, and interpersonal relations. This course will reinforce the objectives introduced in Reading Enhancement and aid in a smooth transition from high school to the various post secondary schools. 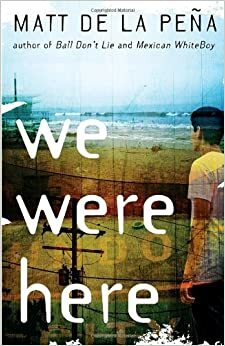 Over the course of the next three weeks, we will be reading We Were Here in class. You will be responsible for listening to the story, writing notes and reactions, discussing it, and taking the final. The final counts as one of the Big Six.